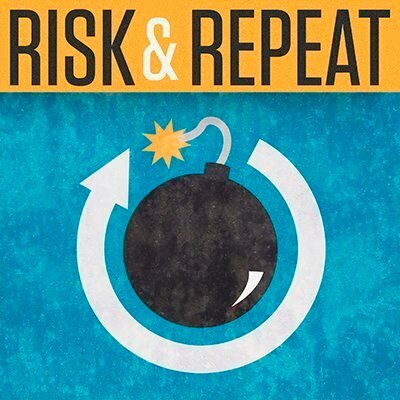 In this week's 'Risk & Repeat' podcast, SearchSecurity editors discuss the U.S. government's Kaspersky ban and how competitors like McAfee are trying to capitalize on it. The ongoing controversy surrounding the U.S. government's ban on antivirus vendor Kaspersky Lab took another ugly turn, thanks to a competitor. Last week, it was revealed that McAfee, formerly Intel Security, was using the Kaspersky ban to promote its McAfee Total Protection software. Specifically, the promotion highlighted the fact that McAfee is headquartered in the U.S., while Kaspersky is based in Russia. It also included an inflammatory headline, which claimed, "FBI advises removal of Kaspersky for suspected ties to Russia spies." McAfee has since changed the promotion page, but not before Kaspersky Lab CEO Eugene Kaspersky criticized the vendor's actions on Twitter. The Kaspersky ban came amid investigations regarding the Russian government's alleged interference in the 2016 presidential election. While there's no evidence of wrongdoing, the Department of Homeland Security this month ordered every federal agency to remove Kaspersky products from their systems within 90 days. Should antivirus competitors try to capitalize on the Kaspersky ban? Was McAfee's approach out of line? Is Kaspersky being treated unfairly by the U.S. government? SearchSecurity editors Rob Wright and Peter Loshin discuss those questions and more in this episode of the Risk & Repeat podcast. Was McAfee's promotion targeting Kaspersky Lab out of line? Why or why not? It was out of line because it exploits peoples fears without any evidence to substantiate them. Exploiting people is the opposite of what a security company should be doing, not that McAfee has, or ever will, have a clue about what they're doing, as their founder himself has long since said. I obviously agree with you on the first point. As stated in the podcast, going after a company that's committed wrongdoing or even stands of accused of wrongdoing is one thing. But we don't even know what Kaspersky Lab is accused of having done. On your second point about McAfee, I disagree. I said this on the recording, but it bears repeating: they have good, smart people there. And this is beneath them. I agree that McAfee has good, smart people there, but the product itself fails to consistently get top marks in real world AV tests. In fact, if you look at their track record on AV-test.org and AV comparatives, they usually score in the lower half of all product tested. Bringing that full circle, while unsubstantiated fear based claims are out of line, I don't think it's beneath them. It's not like they can speak objectively on why their product is better when real world tests confirm its inability to do its job as well as the competition. If I believed the US government allegations were true, I certainly would consider using them in advertising. But even though I'm a Trump voter, the administration's accusations to me seem ill-substantiated and I would not act on them in their current state. FUD. Out of line. A sorry excuse for marketing. Whoever thought of this promotion and those who approved it should be voted off the island. Whatever happened to "providing a better solution" and being able to back it up? Yes, the government is doing fear mongering. The senators pushing this probably have Commodores in their offices.